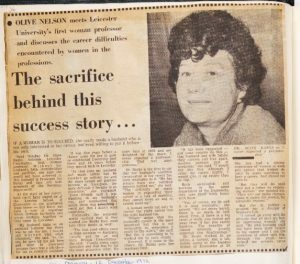 Among the items held in the University of Leicester Institutional Archives are a series of Press Cuttings. Compiled from 1922 to the present day they consist of articles taken from the local press, mainly the Leicester Mercury, though articles from national newspapers and occasionally journals are included. As Library Assistant in Archives and Special Collections one of my tasks has been continuing to add to the name index for these Press Cutting Books. This is being created to help us access more easily the rich information within the books when we receive enquiries about people connected to the university or locality. The index, as you would expect, includes prominent people holding high office within the university or local community but also other staff (academic and non-academic) and students. The task provided a much needed introduction to some of the history of the University from the late 1940s onwards and continues to be fascinating in a number of ways. 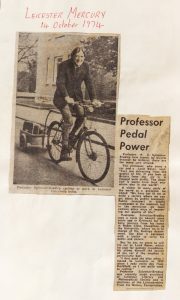 Professor P G Sylvester Bradley cycling to work in 1974. “Cars are detracting from the quality of life. If you look at Britain from the air it is clogged with traffic”. There is ample coverage of the relationship between the University, its students and the local community. Inevitably occasionally fractious (though a student’s complaint about noise from community celebrations was a surprise) but more often positive. 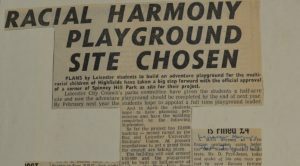 The desire to increase awareness of the university’s work and to co-operate for good in the local community is apparent, shown in particular by the successful student led project to provide an adventure playground for children in Spinney Hill Park. 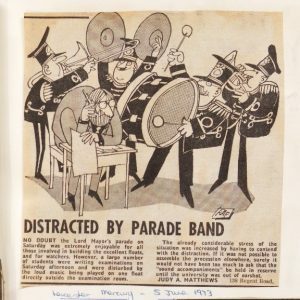 Student Judy A Matthews’ complaint to the Leicester Mercury in 1973 having had her exams disrupted by the “Sound accompaniments” on a float taking part in the Lord Mayor’s Parade. 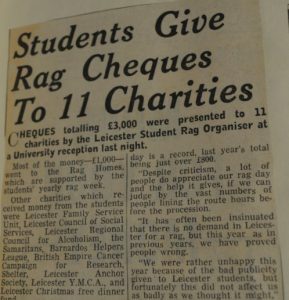 Alongside local residents’ concerns about noise from Villiers Hall students in 1970. Press reporting about the successfully elected Student Union President over the years can be especially revealing. When Wilf Dillon a second year social science student won the vote in 1971 the coverage seemed preoccupied with his age. The headline read “Grandad is students’ choice – Lovely” but Wilf himself was unfazed saying “Age does not matter. If people vote for me they obviously see no generation gap. 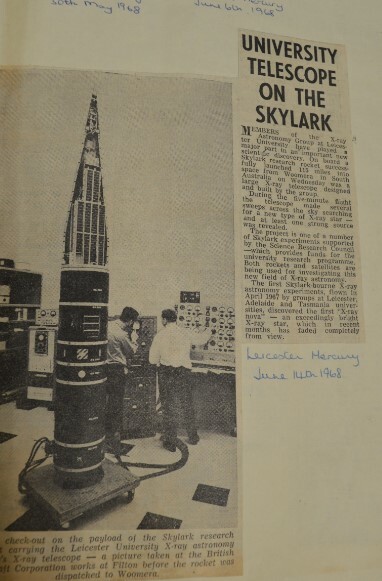 Consequently I don’t see any problems.” (ULA/PCB 15p22 26 Feb 1971 Leicester Mercury). Jane Goldsmith, first woman president for 40 years. 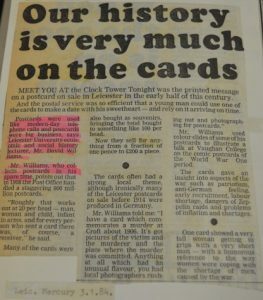 Having the benefit of hindsight, or knowledge of how the stories reported on ultimately played out, does sometimes lend the cuttings an air of nostalgia. One example is an article in January 1989 headlined “‘Smart card hits a snag” which reports on ‘teething troubles’ with an experimental payment card (“a possible alternative to cheque and money”) being trialled by Midland Bank with their student customers. A student comment “(T) he novelty has worn off. They are not as useful as they might be” suggests there were improvements before they ultimately became ubiquitous. 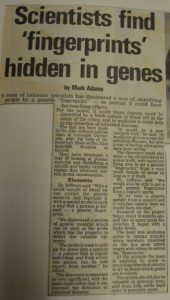 (ULA/PCB 31 p61 26 Jan 1989 Leicester Mercury) Similarly, an article in 1984 reminding readers about the practice of arranging dates via post card before telephones (landlines) were commonplace could not have forecast further change brought about by mobile technology or social media. 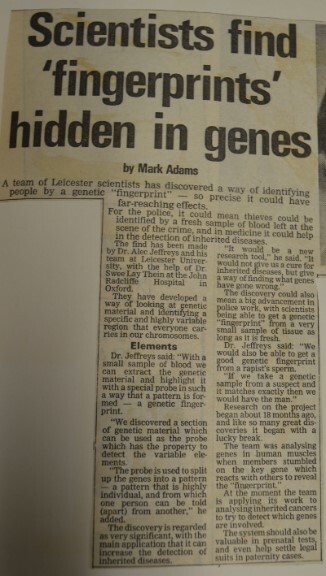 Seeing the initial press coverage a discovery or breakthrough generated is a good reminder of how significant some of the knowledge or technologies we now take for granted were and remain. There are numerous examples, only two of which are illustrated in the following articles. I look forward to uncovering more interesting articles as I continue indexing the Press Cuttings Books and being able to make use of the index in the future to assist researchers when they make enquiries.